The U.S. National Sled Hockey Team will play a pair of benefit games with the U.S. Development Sled Hockey Team tonight and tomorrow (Feb. 23 and 24) at West Meadows Ice Arena outside of Chicago, where they’ve been training and living as a team the last two months ahead of the Paralympic Winter Games PyeongChang 2018. The two teams will blend their players for evenly stacked matches in order to give the national team one final test before it heads to PyeongChang on March 3 in hopes of winning its record third consecutive Paralympic gold medal in the sport and record-tying fifth overall medal. Both games will begin at 8 p.m. 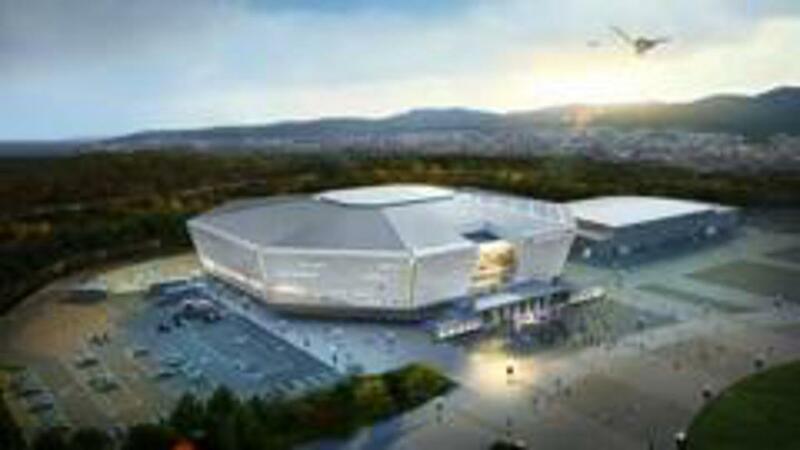 ET, with proceeds from tickets going toward the U.S. Paralympic Sled Hockey Team to help cover the cost of their families traveling to South Korea. Team USA has been training since Jan. 6 at West Meadows in Rolling Meadows, Illinois, where arena superintendent Bob Veller donated six days of ice time to the program for its final months of preparation. While forwards Kevin McKee, Josh Misiewicz and Brody Roybal are Chicago natives who skate for the Chicago Blackhawks Sled Hockey Team on a year-round basis, it’s been extremely beneficial for the rest of the players to join them in the Windy City. Living and training together, they’ve certainly learned a lot about each other. U.S. Army Purple Heart recipient Rico Roman naps the most. Former U.S. Army Sergeant Jen Lee eats the most. By far. It’s been a bonding experience for the players, who are normally dispersed throughout the country from coast to coast during the year. This has been the most time they’ve ever had together as a unit leading up to a Paralympic Games. The team, coached by two-time U.S. Olympian Guy Gosselin, practices together five or six days per week on the ice in addition to conditioning at the gym each day. 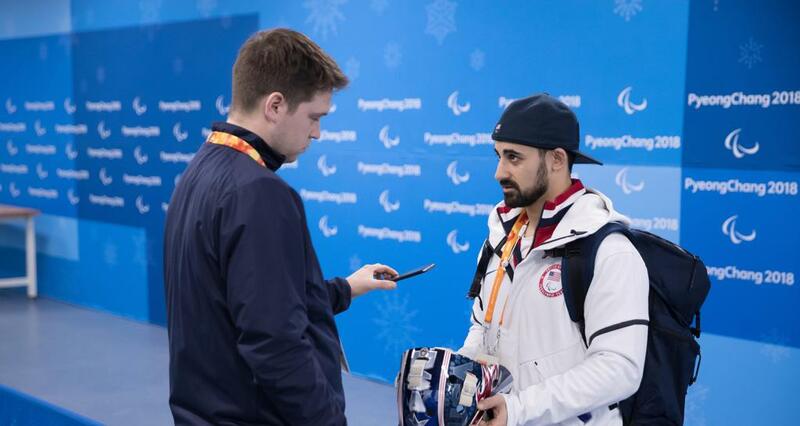 And since dropping the second game, 3-0, in their two-game Border Series with Canada earlier this month, Paralympic gold medalist McKee insisted that training together has helped the team build its morale back up quicker than usual following that loss. “You can tell guys are definitely getting stronger on the ice because we’re holding each other accountable to go to the gym and train off the ice,” McKee said, adding that moving forward the U.S. must stick to its speed game rather than trying to match Canada’s aggressive style. The U.S. squad has pretty much been together as a unit at every moment the last two months, bonding off the ice by going to movies, restaurants, events like the Chicago Auto Show or Chicago Blackhawks game and, most significantly to the players, cooking together as a team at their house just like a family. But what’s given them the most hype for their trip to PyeongChang has been watching the U.S. men’s and women’s hockey teams, their counterparts, playing at the Olympics this month. 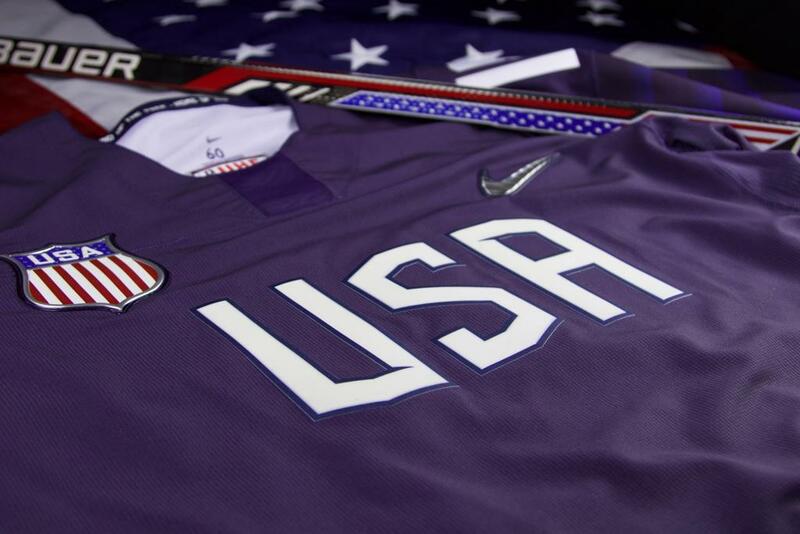 They hope to match the U.S. Olympic Women’s Ice Hockey Team achievement and bring home another gold. The month of February is recognized by the NHL as Hockey Is For Everyone Month, which reaffirms that the official policy of the sport is one of inclusion on the ice, in the locker rooms and in the stands. Around the hockey community, leagues and teams will celebrate the game's diversity and commitment to respect for all.